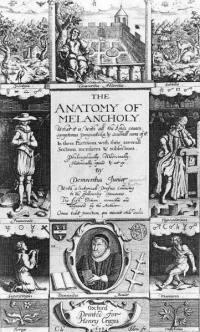 The invention of movable type printing subjected both novels and romances to a first wave of trivialisation and commercialisation. Printed books were expensive, yet something people would buy, just as people still buy expensive things they can barely afford. Alphabetisation, or the rise of literacy, was a slow process when it came to writing skills, but was faster as far as reading skills were concerned. The Protestant Reformation afforded readers of religious pamphlets, newspapers and broadsheets. Bestselling genres of the time are the pastoral and heroic romances, the picaresque novel, comic fiction and the works of Cervantes. Although written in the previous century, Brantôme's Les Vies, published in the middle of the century set a trend for the emergence of a European market for scandal literature. 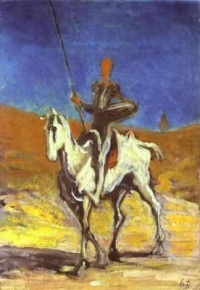 Miguel de Cervantes, Don Quixote de la Mancha (1605). Miguel de Cervantes, Novelas Exemplares (1613). Hans Jakob Christoffel von Grimmelshausen, Simplicissimus (German, 1668/1669), the Thirty Years War put into satirical autobiography. Aphra Behn, Love-Letters between a Nobleman and his Sister (British, 1684/1685/1687), the first full blown epistolary novel. Aphra Behn, Oroonoko, (British, 1688). François Fénelon, The Adventures of Telemachus, (French, 1699). The works that gained the greatest fame—Honoré d'Urfé's L'Astrée (1607-27), John Barclay's Argenis (1625-26), Madeleine de Scudéry′s ‚Clelie or Anton Ulrich von Braunschweig's Römischer Octavia (Octavia the Roman, 1679-1714)—were esteemed both as explorations of the ancient world and as works one would read with an interest in modern life. These heroic romances encapsulated present histories clad in ancient costumes and dove into the realm of the roman à clef, the novel readers would decipher with a key that betrayed who was who within this fictional world. The present fashions of courtly conduct could in the event be found nowhere in such perfection as in these seemingly historical romances. Readers used them as models for their own elegant compliments, letters, and speeches. 1660-1669 - Samuel Pepys writes his diary. 1667-1668 - Marianna Alcoforado writes her Letters of a Portuguese Nun. Unless indicated otherwise, the text in this article is either based on Wikipedia article "17th century in literature" or another language Wikipedia page thereof used under the terms of the GNU Free Documentation License; or on original research by Jahsonic and friends. See Art and Popular Culture's copyright notice. 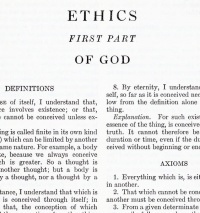 This page was last modified 12:35, 19 March 2018.